Oh Captain, My Captain! 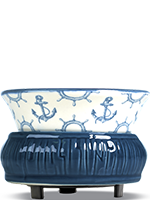 Old World Nautical meets New World fragrancing in this seafaring Simmer Pot! 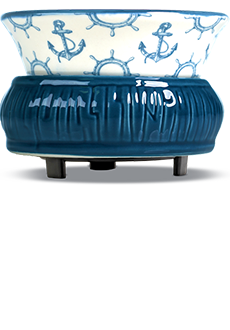 the nautically inspired Captain's Wheel and Anchor print on the dish pop against the Navy Blue base. Measures 5.5” diam x 4” h.